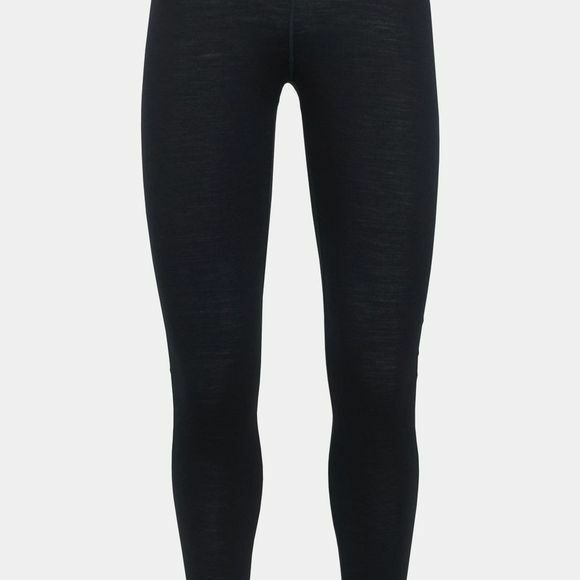 The Womens 200 Oasis Legging Tights from Icebreaker is a go-to lightweight baselayer bottoms made with our classic merino jersey fabric, the 200 Oasis Leggings provide the natural benefits of merino wool in a highly versatile, highly comfortable design. Our original 100% merino wool jersey insulates during frigid days on the trail or the ski hill, and it resists odors and breathes efficiently on runs, hikes and summer trips into the mountains. The updated design features a gusseted construction for unrestricted movement, and a brushed elastic waistband and flatlock seams for chafe-free comfort.